Three Dundee groups have just received grants for funding that range between £1,500 and £9,050. This is all thanks to the Awards for All programme. It is part of the National Lottery, and it gives small grants that make a large difference in communities. The funding was shared among 103 sports, arts, and community groups across Scotland. The first organisation in Dundee that received money is the Douglas Photography Group which received £1,500. Another one is West law Allotments Association that received £5,950. And last, but not least is Broughty Ferry YMCA, which received £9,050. John Kenny, who is currently a YMCA director stated that it is completely fantastic news. They have been working very hard over the last year and a half, and that is the largest grant they have been awarded so far. He added that it would help enormously. There is no doubt that things are progressing excellently down at the YMCA after their year focused mainly on restoring the building. Moreover, their profile has also grown, which helps quite a lot when applying for funds such as this one. It is an incredible start to the year as well as a sign of all of the work that they still have to do at the YMCA. 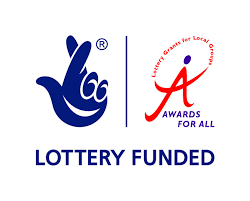 A spokesperson for Awards for All stated that all of these grants are an excellent way to show the variety of projects that could be funded through the scheme. The applications can be submitted during any time of year and are accepted on a rolling basis.